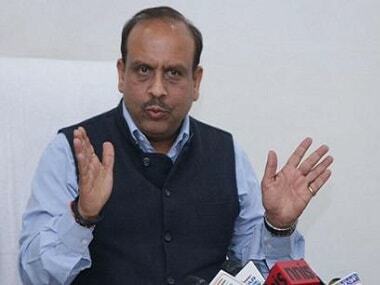 New Delhi: BJP leader and Leader of Opposition in the Delhi Assembly Vijender Gupta on Friday filed a complaint after he received a threat from Aam Aadmi Party (AAP) activist Dalip Kumar. Gupta, along with Delhi BJP general secretary Rajesh Bhatia and spokesperson Praveen Shankar Kapoor, filed a complaint against Kumar at the Parliament Street Police Station. The BJP leader filed the complaint after an AAP activist wrote on Twitter, tagging Gupta, that he should not go to Delhi chief minister Arvind Kejriwal's residence, as "his goons would not only slap you but will beat on the street with rods and sticks". Delhi BJP chief Manoj Tiwari also strongly condemned the threat of physical assault by the AAP activist to Gupta. "In the present volatile situation, this threat by an AAP activist to a senior leader of Opposition cannot be made without the consent of AAP leadership," Tiwari alleged. He went on to say that this should also be seen as "an addition to a reported statement made by AAP MLA Naresh Balyan on Friday that officials should be beaten up" if they object to MLAs' proposals. Tiwari was referring to the statement of Balyan, a legislator from Uttam Nagar constituency, who, speaking at a public rally justified the alleged assault on Chief Secretary Anshu Prakash, saying: "Anyone obstructing the work for common man deserves a beating." "They are taking up to three to six months for doing work which should be done in three days. Why? 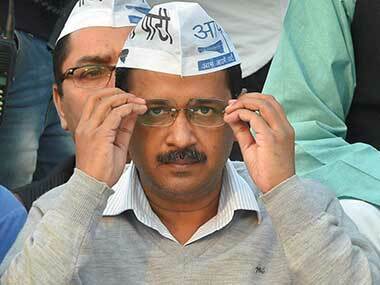 Because Delhi Chief Minister abolished the commission system which earlier reigned. And as this system was eradicated, they (bureaucrats) started sitting on the files. "Whatever happened to the chief secretary... I say they should be beaten up, they should be thrashed... Whoever obstructs the work being done for the common man, should be meted out the same treatment," Balyan said at the party rally. 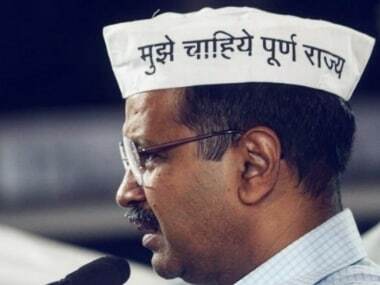 It was on Tuesday that Prakash alleged that he was beaten up by two AAP MLAs – Amanatullah Khan and Prakash Jarwal – in the presence of Kejriwal at the chief minister's residence on Monday night, where he had been called for an emergency meeting. 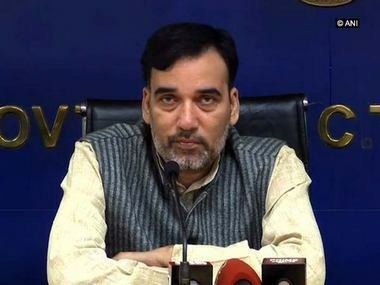 Slamming the Delhi government, the BJP leader said: "After Friday threat to Gupta by an AAP activist and the threatening statement by Balyan, it seems AAP anarchy and naxalism has reached its peak like in January 2014 and people will soon throw this government out of power." Tiwari also demanded the immediate arrest of Balyan and the AAP activist. "They should be arrested immediately for their statements inciting violence."